When it comes to explaining information, particularly complex numerical data, there are few approaches more powerful than telling a story visually. 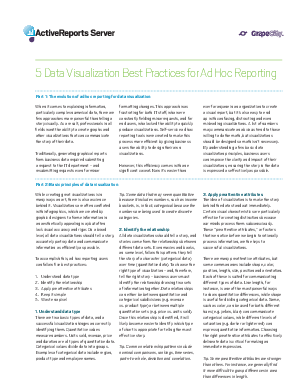 Today, it’s easier than ever for anyone to create a visual report, and end up with confusing, distracting and even misleading visualizations. The power of "preattentive attributes"
Read the white paper to learn more and to get more insight into each tip.